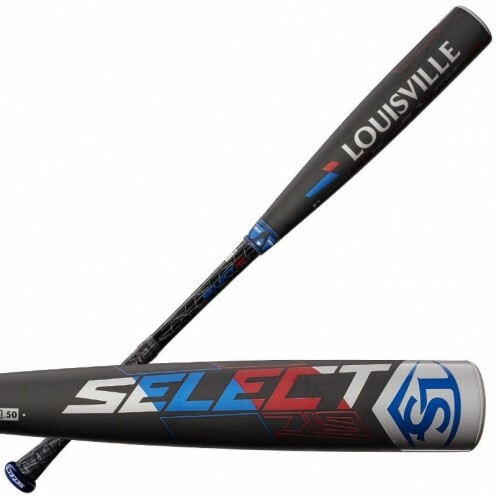 The new Louisville Slugger Select 719 brings the power to keep your game going. 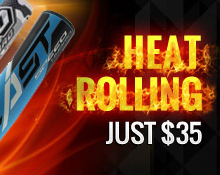 The most endloaded bat in the 2019 Louisville Slugger lineup, this two-piece hybrid construction features a ST7U1+ alloy barrel and composite handle for maximum durability and power. An SBC (Speed Ballistic Composite) end cap provides increased swing speed and maximum control while patented VCX™ Technology allows for independent movement between the barrel and handle while controlling vibration and providing unmatched feel on contact. VCX™ Technology creates a feel unique to both power and contact hitters alike. Features VCX Vibration Control Connection – a patented design that allows for independent movement between the barrel and the handle; that controls vibration and provides unmatched feel on contact.